Check out some testomonials to tremendous results below. Al understands what it takes to be effective on the field and knew the type of preparation I would need to become a top receiver. We had a goal for what we wanted the season to look like and he built a gameplan for how we would execute it – tough workouts and good nutrition without all of the supplements. We worked hard as a team during the off-season and I came into the season in peak shape with improved breakaway speed and increased strength. We continued working during the season and I was able to maintain that performance - setting a record in receiving yards and being selected for the Pro Bowl as both a WR and PR. I like to choose my trainers carefully and, to this end, spent a great deal of time carefully deciding whether I would train with Alton Kenner. What made Alton a definite choice for me is that he stands out from the rest by customizing the program to me. Alton worked with me to design a workout that would not only teach me how to properly work out but also bring results that I deem significant. He maintains high energy and motivational talk during the workout, so when I exercise on my own I can picture what Alton would say to me, and that keeps me going. His absolute dedication to his job and professionalism is consistent - which is hard to come by - and he is absolutely committed to every one of his many clients. Alton sets a standard that other trainers would need to work tirelessly for years to attain and working with him has given me new insight, motivation and, let's not forget, solid tone! I saw changes in my body after just two weeks of beginning with him, and continue to see RESULTS as I continue working out with him. 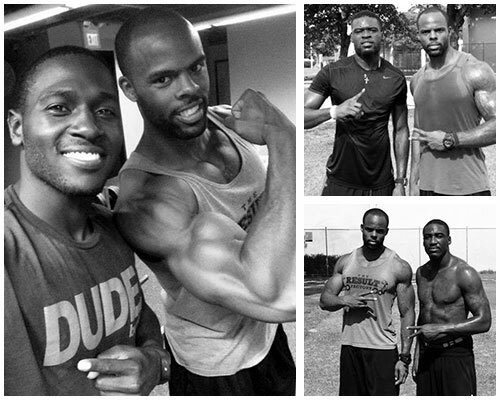 I've trained with a few different trainers in the past and Alton Kenner is hands down the BEST trainer I've had to date. I have 2 children and just couldn't seem to get certain areas of my body back to their "pre-childbirth" state. Alton changed all of that! Working with him I was able to see a total body transformation. Alton truly customizes each workout to fit my needs and I now have muscle definition in places I never had before. He really pushes his clients to the max. Alton is able to produce REAL RESULTS because he offers his clients not just help with exercising but nutrition as well. Alton is extremely passionate about educating people on transforming and maintaining a healthy lifestyle. He's constantly reading materials and educating himself on nutrition so that he can pass on this knowledge to his clients. He helped me totally change my eating habits and I now eat "clean" all the time and love it! No diets here, just real advice/help for people to make long term changes which in the end will give you REAL RESULTS!!! Alton’s training style is great for toning and kick starting the metabolism. He is a motivating instructor who knows how to combine cardio and strength training to achieve your fitness goals. I ran my first 5k in September of 2012 and know that I couldn’t have done so without his guiding on proper technique, and pushing me to go farther than I ever thought possible. I’m burning fat and gaining muscle. He has done an excellent job of teaching me how to eat properly which will ultimately prove effective in reaching my goals.